Most families might have just one black sheep, but at a college in Hampshire, a ewe has given birth to four of them. 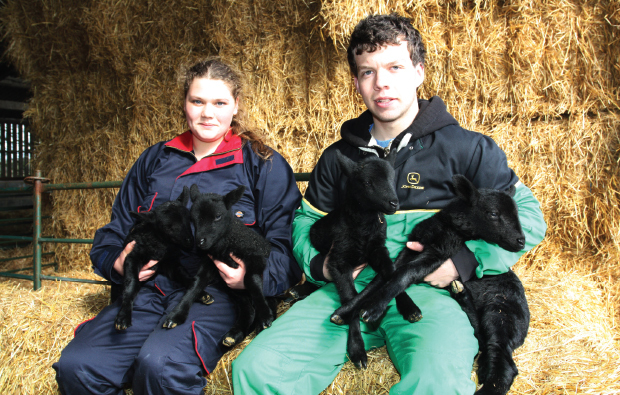 The arrival of the black lambs at Sparsholt College is an event so rare it happens once in a generation. Shepherd John Garrett, who has 35 years’ experience in the industry and worked at the college for the last 23 years, has never seen this many black lambs born at once. The lambs were born to a Suffolk cross ewe and a Welsh black ram.